Academic life is becoming increasingly stressful. Academics are suffering from increased government control and monitoring; from financial cuts and work overload; and from the difficult balancing act between teaching, research and administration roles. They experience the everyday stresses of doing a creative job within an increasingly uncreative environment; of both developing relationship with students and assessing their performance; of seeking promotion or settling for non-promotion as opportunities for advancement have become more limited; and of maintaining self-esteem as their status in the community appears to decline. At the same time, they are aware of the increasing stress suffered by students: their fear of failure, financial pressures, homesickness, impending examinations, uncertain prospects and their balancing of academic and social lives. 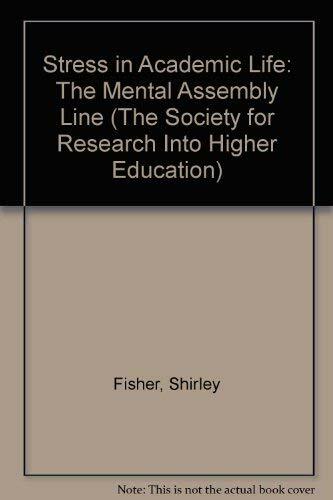 In this work, Shirley Fisher provides an overview of the effects of stress on performance, daily efficiency and health, and reports the results on stress in academic environments (for both staff and students). She explores the origins and nature of academic stress, personal vulnerabilities and coping mechanisms and proposes ways in which individuals can be helped, emphasizing how working conditions and practices must be changed in order to reduce stress in academic life. Shirley Fisher is Professor of Psychology and Director of the Centre for Occupational Health and Psychology at the University of Strathclyde in Glasgow.